You’ll never be more proud to call The Bloomfield home. Designed creatively to suit a narrow lot, there is spacious living areas, entertaining spaces and four bedrooms and two bathrooms. 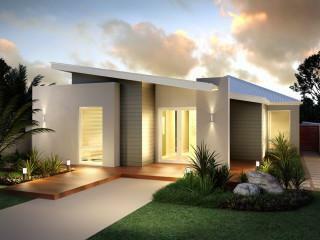 A home design sure to be the envy of the street, not to mention your family and friends. How do you add privacy to a front garage home? Design it with a “hidden” double door entry! 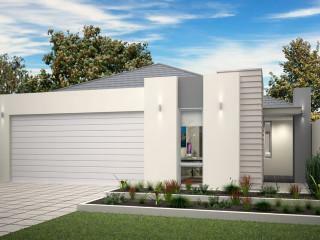 The elevation is modern-contemporary with four bedrooms and two bathrooms inside. Entertain inside or out with the sliding doors inviting you to share the outdoors. Incredible, modern 4×2 design that really focuses on functionality and relaxation. 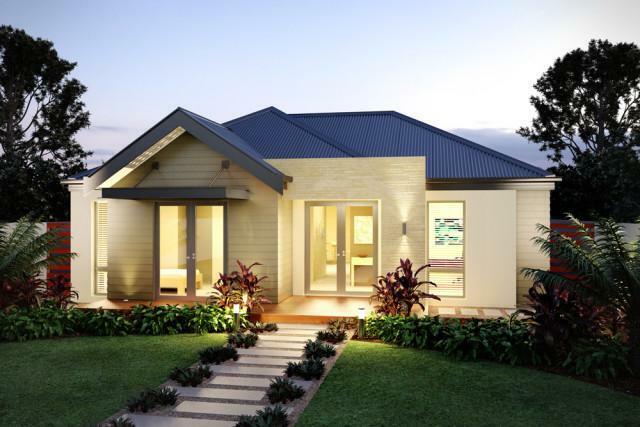 It’s a designed that cleverly suits Perth’s narrow lots plus includes all the extras like his and hers robes, theatre and large kitchen. The Brand features a modern-contemporary elevation that is sure to stand out in the street. 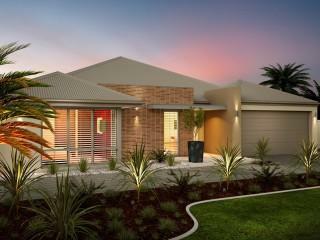 Four bedrooms and two bathrooms are cleverly zoned so that the home can also include a theatre and a study. The raked ceilings also add class to the interior of the home. Copyright © 2019 Single Storey. All rights reserved.